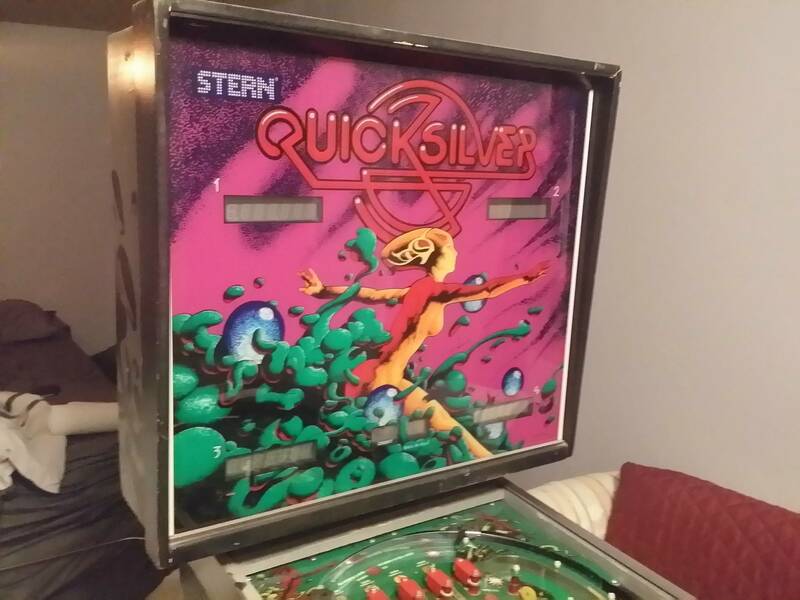 Willing to pay $3,000 for a restored or CQ Quicksilver. Let me know if you have one of these available. Thanks. These are TigerLaw's all time market stats. Bump - hope you will find your grail pin soon. Damn! Classic Sterns are getting some love! Good luck with your search! Let me know if you get a lead on non-CQ Quicksilvers! It is there lightening quick game play. Your Dragon Fist is what really made me give these older Sterns a closer look. There is a guy in my time capsule thread that has one. Pinsider Classic_Stern has a CQ Quicksilver. NOS everything I believe. It plays ridiculously fast and is a completely different beast than the machine that was on Bowen's video. I believe a few others have some very nice examples as well. Not sure if "CQ", but I have a pretty nice one, restored and cleared PF, mint BG, no planking in cab and clean. I wouldn't sell it for 3K, that's for sure. It's a great game, one of my favorite early SS. There was a beautiful (appeared to be) fully restored and clearcoated one at the TPF last year, you might want to see if the exhibitor list from last year is available somewhere. A lot of love went into that machine though, don't think it was for sale at the show. That Quicksilver was my favorite game at TPF last year. Along with DragonFist, Paragon and Rolling Stones. Just 3 more weeks! This year you will be able to enjoy some other great Bally & Sterns. Quicksilver is one of those games that quickly convinces you that ramps aren't required to have a fast, flowy game. If Gary has indeed gotten the rights back from his ex-wife for the Classic Sterns, I wish he would just start making them again. If he can make the much more complicated "The Pin" and deliver it to my door for $2500; he could certainly make some simpler Quicksilvers and Stargazers. This would be great if he could do that. Contact RedKetchup, he has a CQ Quicksilver. Same guy who built himself a Stargazer. 3K USD is 4K CDN and no tax/duty for you to ship and re-import it. No no no no no no TigerLaw. I would looooove to have a Quicksilver, but I think you want too much. Being greedy is not a good thing. 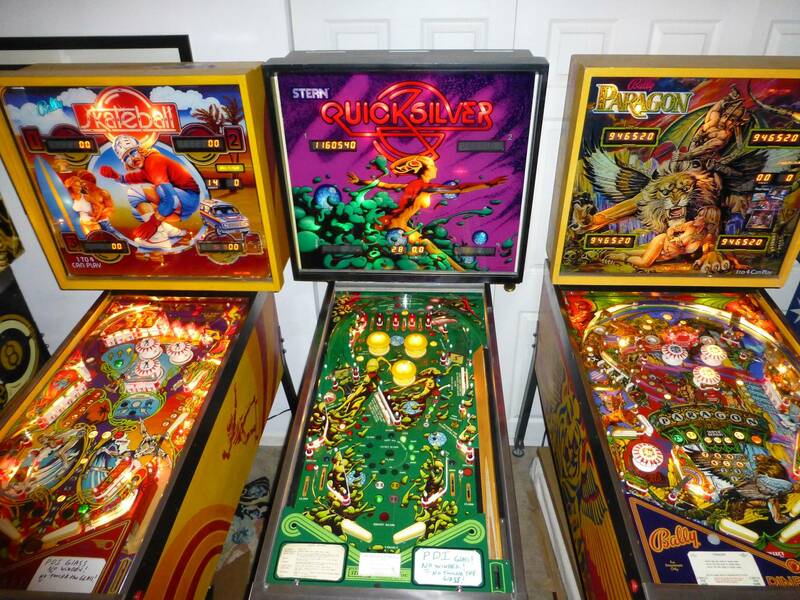 I have been looking closely to Quicksilver playfield and I am very intrigued and curious to play that game. I hope I can see one in the Dallas show. I am afraid you have to make a choice and exercise some self control. This is the obvious downside of your spouse surfing pinside and following you around. But when is P3 money due? Ali is the Greatest !!!! I think that P3 will be due within the next few months (I believe first 6 months of this year). We already are in the pre-order list for P3. By the way, Pdxmonkey, we are flying to PDX right now and we are going to see monkeys at the zoo tomorrow at Portland, which is our favorite zoo in US. Yes, sadly no time to visit Ground Kontrol this trip. That will make two trips to Portland in a row for us with no Ground Kontrol visits. Shucks, well I hope you have a good trip up here. Really? That would be pretty awesome! We will have some time Sunday evening (we are taking the red eye back to Houston). 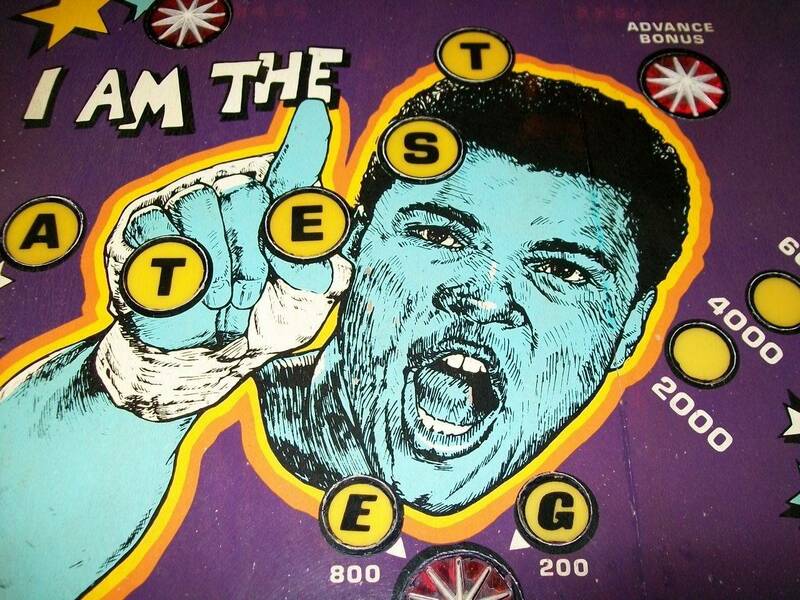 Is he a Pinsider? You are awesome Pdxmonkey. I hope to get to meet you soon. The Quicksilver at the show was a friend of mine. "Dothedoo" on here. 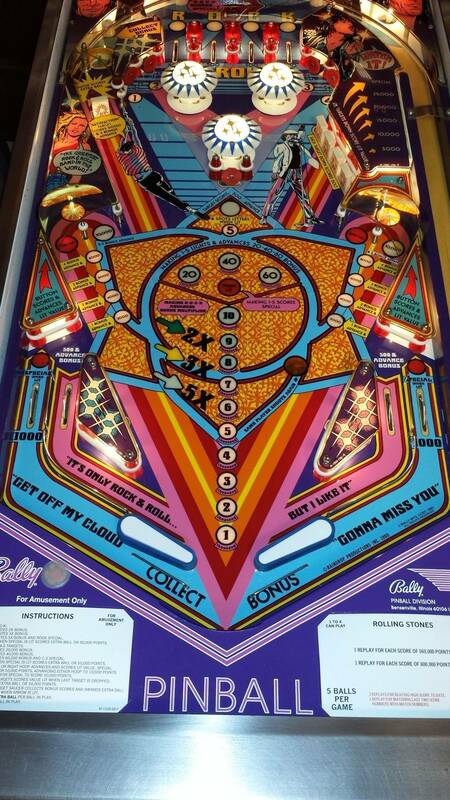 We did the playfield together. I cleared it. He then "tweeked" it to the max. Plays like a "dream". I have one at my house I restored in 2002 and won best of show at the TPF. Again cleared field. The Stones in the tourney area was mine. I also have a restored FIST....Full up with cleared field and repainted cab. I have one at my house I restored in 2002 and won best of show at the TPF. Looking forward to meeting you in person at TPF this year! So, it worked out for us to hit Ground Kontrol after all. We are in rout now. The Quicksilver at the show was a friend of mine. "Dothedoo" on here. 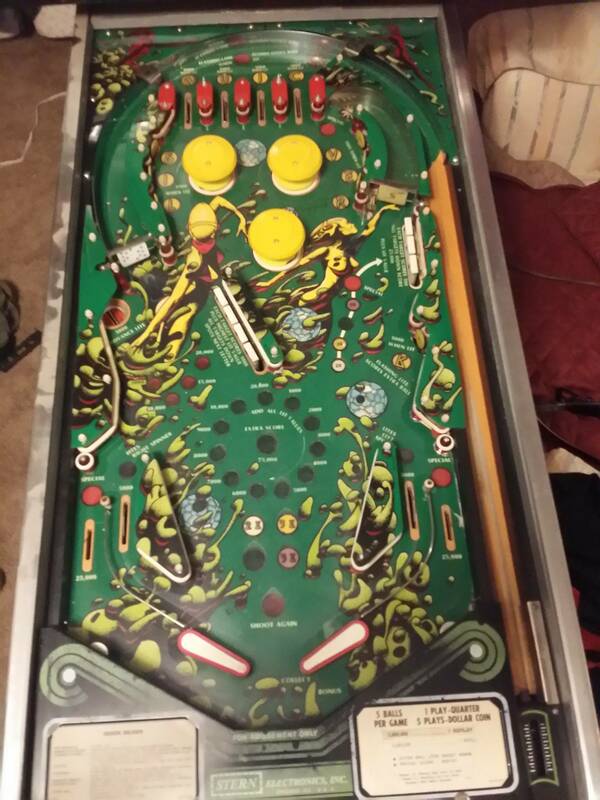 We did the playfield together. I cleared it. He then "tweeked" it to the max. Plays like a "dream". I hope it will be making a return in a few weeks? Hey i have a quicksilver in pretty good shape if you're serious. The score board art is flawless, the game table is bright and looks great the only condition concern is one sensor is bad. Its still very playable. I can send you pic/video if you are serious. I am in phx az. And still not for sale, sorry. And still not for sale.